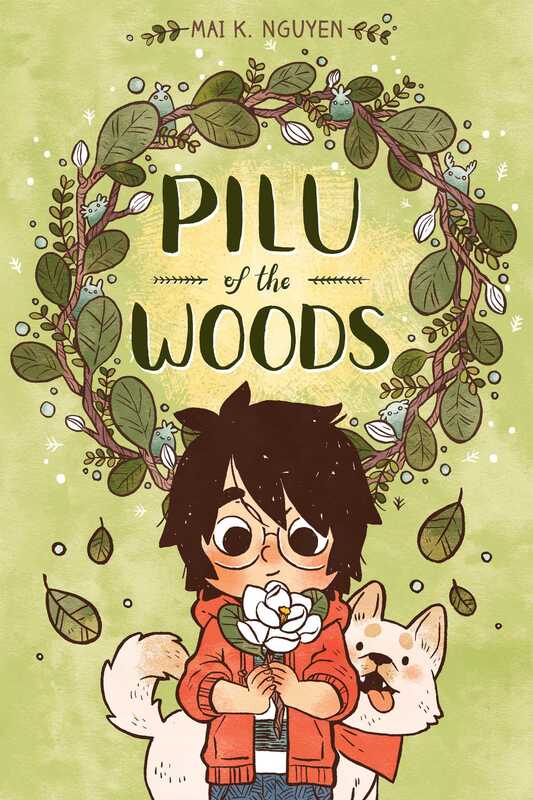 "In Pilu of the Woods, Nguyen has crafted a sweet, gentle, beautifully-illustrated fable about childhood loss, and the friends who help us find ways to grow, even through the hardest times." "A heartwarming and beautifully executed parallel between the natural cycles of nature and the emotional journey of navigating friend and family relationships, Pilu of the Woods feels very special. Nguyen really captures the feeling of being a kid in the woods with a lot of emotions. Beautiful lettering, beautiful linework, beautiful relationships—just an all-around beautiful book! I feel stronger for having read this." "In PILU OF THE WOODS, Mai K. Nguyen's stunning visuals bring an emotional narrative to life. Pick it up for the beauty, stay for the feels!" "An incredible and imaginative story of life and loss. Readers will miss Pilu when the story ends, but she will resonate long after." Rendered in evocative lines and expressive lettering, Pilu of the Woods is a delight! Nguyen’s debut is a touching tale of lingering grief and the healing powers of friendship, family, and one enchanting forest. "A lovely graphic novel focusing on confronting our inner feelings and how we express them."